Dr. Joe Schwarcz of Montreal's McGill University is a well-known media "popularizer of science," and clearly on someone's payroll. Whose: A consortium of biotechnology companies, including Monsanto (see funding information below). In That’s The Way The Cookie Crumbles, Dr. Schwarcz writes that aspartame is perfectly safe to consume - a verdict contradicted by scores of independent studies, one that only the insane could endorse. Frightening to consider that Dr. Schwarcz - a paid public diplomat for Monsanto - "interprets science" for the public. Dr. Joe Schwarcz - A 21st century Mr. Wizard - is making his fans sick. 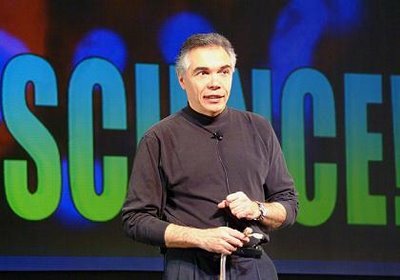 Joe Schwarcz (PhD McGill 1973) is Director of McGill University’s Office for Science and Society which is dedicated to demystifying science for the public, the media and students. Dr. Schwarcz also teaches a variety of courses with emphasis on health issues and on the application of chemistry to everyday life. He is well known for his informative and entertaining public lectures on topics ranging from the chemistry of love to the science of aging. Professor Schwarcz has received numerous awards for teaching chemistry and for interpreting science for the public. Among these are the Royal Society of Canada’s McNeil Award and the American Chemical Society’s prestigious Grady-Stack Award. Previous winners of the Grady-Stack have included famed science writer Isaac Asimov, New York Times columnist Walter Sullivan and Don Herbert of TV’s “Mr. Wizard” fame. Dr. Schwarcz is the only non-American ever to be honored with this prize. His latest award is the Royal Canadian Institute’s Sandford Fleming Medal. Dr. Schwarcz was also awarded an honorary Doctorate degree by Athabasca University in the spring of 2002. “Dr. Joe” appears on the Canadian Discovery Channel, TV Ontario, Global Television, CBC-TV, CTV-TV and various radio stations. He hosts the "Dr. Joe Show" on Montreal's CJAD and Toronto’s CFRB every Sunday from 3-4 PM. He was also the host of “Science To Go,” a 13 episode show on the Discovery Channel that focused on common foods. Dr. Schwarcz writes a weekly newspaper column in the Montreal Gazette entitled “The Right Chemistry” as well as a monthly column in Canadian Chemical News. He was the chief consultant on the Reader’s Digest best sellers “Foods That Harm, Foods That Heal” and “The Healing Power of Vitamins, Minerals and Herbs” and contributed the chemistry chapter to the best-selling “Mental Floss.” His books “Radar, Hula Hoops and Playful Pigs,” “The Genie in the Bottle,” “That’s The Way The Cookie Crumbles,” “Dr. Joe and What You Didn’t Know,” “The Fly in the Ointment” and “Let Them Eat Flax” have been best sellers. The books have been translated into five languages and are sold around the world. "The ability to deliver new seed technologies and enhanced varieties to our farm customers is directly affected by consumer confi dence in these products. Recognizing that this has become an essential element for the successful commercialization of these products, including ensuring access to international markets, the Council for Biotechnology Information (Canada) is working to improve understanding of and attitudes toward agricultural biotechnology. "That is precisely why the Council was formed almost two years ago. Now operating in several countries around the world, the Council believes that fostering acceptance begins and ends with sharing balanced and science-based information, delivered by credible spokespeople and organizations, with the consuming public. To this end, the Council’s integrated and comprehensive communications program is geared at increasing the number of informed consumers and spurring acceptance of biotechnology in food production. "* Provided arm’s length support to diverse organizations such as McGill University’s Offi ce for Chemistry and Society ... "
What is the Council for Biotechnology Information? Joe Schwarcz, director of McGill University's Office for Chemistry and Society, writes about the fascinating legal case of Monsanto, the giant agrochemical company, vs. Percy Schmeiser, an unknown Saskatchewan canola farmer. Today, says Schwarcz, Schmeiser is no longer unknown; he travels around the world lecturing to anyone who cares to listen (and pay) about the evils of genetic modification and the corporate brutality to which he has been subjected. But there's more to the story. After many years of research, Monsanto developed a variety of canola that was resistant to the herbicide glyphosate (Roundup). This plant produces the seeds from which canola oil is pressed and is an important crop in Canada. Indeed, the name derives from "Canadian oil." Roundup Ready canola offers several advantages to the farmer. Fields can be sprayed with glyphosate to kill weeds without harming the crop. This reduces the number of herbicide applications needed and reduces the need for tilling. There is therefore less soil erosion, a significant saving in herbicide costs as well as in diesel fuel. Canadian farmers obviously think there is a benefit since acreage devoted to genetically modified canola has been increasing every year. The introduction of Roundup Ready canola presented Monsanto with a problem: How do you make a profit from the invention? This is not a simple question to answer. Traditionally, farmers grow crops and keep the seeds from the best plants for use during the next growing season. According to this practice, a farmer would only have to buy the modified seeds once. But if this were the case, Monsanto could not recoup its investment, let alone make a profit. And profit, of course, is what the game is about. So Monsanto came up with a plan. Any farmer wishing to plant Roundup Ready canola had to sign an agreement to buy fresh seed every year. If you want to use the technology, Monsanto said, you have to pay for it. Not at all an unreasonable business move. And more than 30,000 Canadian farmers agree. Schwarcz says that in1998, Monsanto had reason to suspect that Schmeiser's field harboured Monsanto canola. When the farmer refused to pay for the technology, Monsanto sued. At trial, Schmeiser admitted the presence of the plants, but said they were unwanted and must have grown from seeds that had blown off passing trucks. But curiously, he never contacted the company to complain. Later, he would explain that he didn't even know about the existence of such seeds. Another curiosity, since the company had advertised widely and held information sessions in his area. When Monsanto introduced its shipping records, it became clear that no truck had passed in the vicinity. Schmeiser now suggested that the plants resulted from cross-pollination from neighbouring farms. Not likely, either, since the nearest farm was 8 kilometres away. Also, the pollen (or the seed from the trucks) would have had to have an amazing property, unknown even to Monsanto: the ability to organize the canola plants produced into neat rows! Admittedly, cross-pollination is a legitimate concern for farmers who do not want modified canola in their fields. But Monsanto has a clear policy: it has no intention of taking action against growers affected by such accidental pollen drift and is willing to work with farmers to address the problem. Based on the evidence, the judge ruled Schmeiser "knew or ought to have known" that he had violated Monsanto's patented technology. There simply was no reasonable explanation for how his fields became "contaminated" with 95-98 per cent Roundup Ready canola, planted in regular rows yet! The farmer appealed the judgment and introduced a novel nuance. Yes, he explained, he knowingly grew Monsanto's canola but it was his right to acquire seeds in any way he chose and what he planted was his business. The Federal Court of Appeal wasn't biting and dismissed all Schmeiser's appeals. He would now like to take the matter to the Supreme Court of Canada. Schmeiser has been growing canola -- the yellow-blossomed oilseed that used to be known as rapeseed -- for 40 years, and he knows his stuff. He's been experimenting, developing his own varieties, using his own seed and generally prospering with canola. reaping the benefits derived from growing an increasingly popular crop. So when Monsanto, the giant multinational agro-chemical company that is at the forefront of developing genetically modified foods, accused him of patent infringement and demanded restitution for its seeds, his pride was hurt. He chose to fight rather than roll over and take it." Excerpt from Aug 14, 1999 Vancouver Sun article by Dave Margoshes. "Monsanto, headquartered in St.Louis, makes the popular herbicide Roundup. Farmers all over the Prairies ---Schmeiser among them --- spray it on their fields, whereupon it kills every-thing growing there. Then they plant. Using the controversial alchemy of genetic engineering, which has alarmed environmentalists and consumers, Monsanto has developed a canola seed completely immune to Roundup. That means a farmer can spray the herbicide over a planted field, kill all the weeds growing there, but not hurt the crop -- as long as it comes from Monsanto's seed. The company sells the seed -- about half the canola planted in Saskatchewan this year comes from it -- but keeps the rights to the DNA itself. It means that, rather than save seeds from last year's crop to use this year, as many do -- and as Schmeiser traditionally does -- farmers have to buy new seed from Monsanto each year. In order to protect its investment, Monsanto has been vigilant in rooting out frugal farmers who might be cheating and saving seed, or borrowing a bit of seed from neighbours. Farmers buying Monsanto's seed must sign a contract promising to buy fresh seed every year. And they must let Monsanto inspect their fields." "For 40 years, Percy Schmeiser has grown canola on his farm near Bruno, Sask., about 80 km east of Saskatoon, usually sowing each crop of the oil-rich plants with seeds saved from the previous harvest. And he has never, says Schmeiser, purchased seed from the St. Louis, Mo.-based agricultural and biotechnology giant Monsanto Co. Even so, he says that more than 320 hectares of his land is now "contaminated" by Monsanto's herbicide-resistant Roundup Ready canola, a man made variety produced by a controversial process known as genetic engineering. And, like hundreds of other North American farmer, Schmeiser has felt the sting of Monsanto's long legal arm: last August the company took the 68-year-old farmer to court, claiming he illegally planted the firm's canola without paying a $37-per-hectare fee for the privilege. Unlike scores of similarly accused North American farmers who have reached out-of-court settlements with Monsanto, Schmeiser fought back. He claims Monsanto investigators trespassed on his land -- and that company seed could easily have blown on to his soil from passing canola-laden trucks. "I never put those plants on my land," says Schmeiser. "The question is, where do Monsanto's rights end and mine begin?" The landmark case, that went before the Federal Court of Canada, has attracted international attention because it could help determine how much control a handful of powerful biotech companies can exert over farmers. "The high profile legal battle between Monsanto and a Saskatchewan farmer will go to trial in Saskatoon next year. The two sides will square off in federal court on June 5, 2000 to argue the company's lawsuit alleging that Percy Schmeiser grew Roundup Ready canola without a license. The trial date was set at the end of an eventful week that has brought the issue of seed patenting to national attention by pitting a United States-based multinational corporation against a lone farmer from Bruno, Sask. "The case found its way into the courts in August 1998, when Monsanto filed a statement of claim alleging Schmeiser illegally bought Roundup Ready seed from local growers in order to plant his 1997 crop, then retained some of that year's seed to plant in 1998. Volunteer Canola growing adjacent to roadway after land had been sprayed with Roundup. Each canola plant can produce from 4000 to 10,000 plants. Schmeiser said he planted his 1997 crop with seed saved from 1996, and insists that any Roundup Ready growing on his land was spread by wind or by grain trucks travelling on roads adjacent to his fields. In the statement of claim, Schmeiser says Monsanto has libeled him by publicly accusing him of committing illegal acts, trespassing on his land in order to obtain seed samples and improperly obtaining samples of his seed from a local seed plant. The statement also accuses Monsanto of "callous disregard" for the environment by introducing Roundup Ready into the area without proper controls, and of contaminating crops grown by Schmeiser." On Aug. 10, 1999 mediation talks to settle the dispute without going to trial ended in failure. The next day, Schmeiser launched a $10 million lawsuit against Monsanto, accusing the company of a variety of wrongs, including libel, trespass and contamination of his fields with Roundup Ready." "Schmeiser's lawsuit against Monsanto won't be dealt with until the original lawsuit has been resolved. "We want to have the patent infringement hearings run their course, then we'll pursue this," said Schmeiser's lawyer Terry Zakreski." The Trial was heard June 5-20, 2000 in Federal Court in Saskatoon, Saskatchewan. The Canadian federal court hearing lasted three weeks before a judge in Saskatoon, Saskatchewan. At trial, Monsanto presented evidence from two dozen witnesses and samplers that Schmeiser's eight fields all were more than 90% Roundup Ready, indicating it was a commercial-grade crop. Monsanto performed no independent tests as their tests were all performed in house or by experts hired by the company. Monsanto did not directly try to explain how the Roundup Ready seed got there. "Whether Mr. Schmeiser knew of the matter or not matters not at all," said Roger Hughes, a Monsanto attorney quoted by The Western Producer, a Canadian agriculture magazine. A canola scientist, in an affidavit for Monsanto in the trial, said Schmeiser's theories of cross-pollination by wind and bees did not make sense to him, given the purity of plants grown based on Monsanto's tests. "It was a very frightening thing, because they said it does not matter how it gets into a farmer's field; it's their property," Schmeiser said, in an interview with Agweek. "If it gets in by wind or cross-pollination, that doesn't matter." Monsanto outlined their request for patent infringement seeking damages totaling $400,000. This included a list of civil damages, including about $250,000 in legal fees, $105,000 in profits they feel Schmeiser made on the 1998 crop, $13,500 ($15 an acre) for technology fees and $25,000 in punitive damages. Schmeiser feels that Monsanto has asked for exorbitant amounts to serve as a warning to other producers. At that time Schmeiser said he has already spent $160,000 of his own savings for legal fees and another $40,000 of his own time, travel and compensation for labor he had to hire when he was away from the farm. He says that if he would have "bowed on my hands and knees" in the beginning, Monsanto might have settled for what it calculated were unpaid technical fees of about $15,000. Schmeiser says he has received donations to help his legal bills--mostly in $50 and $100 cheques from other farmers. Schmeiser has been asked to speak all over the world on the dangers of GMO crops. Schmeiser believes the case revolved around a conflict of two set of rights. One set of basic "plant breeders' rights" allows Canadian farmers to buy seed and then plant offspring for one more year. On the other side, Canadian patent law allows companies to patent genes and then insert them into plant varieties and enter into contracts with farmers not to replant them. "In my case, I never had anything to do with Monsanto, outside of buying chemicals. I never signed a contract," Schmeiser says. At the end of the first suit, Schmeiser says he will pursue a second lawsuit he filed last fall against Monsanto for contaminating his seed. "If I would go to St. Louis and contaminate their plots--destroy what they have worked on for 40 years--I think I would be put in jail and the key thrown away," Schmeiser says. The Federal Court of Canada issued their judgment in the case of Monsanto vs Schmeiser Enterprises over the technology use fee for Round Up Ready canola on March 29, 2001. Justice Andrew McKay upheld the validity of Monsanto's patented gene which it inserts into canola varieties to make them resistant to their herbicide Round Up. McKay dismissed Schmeiser's challenge to the patent based on the claim Monsanto could not control how the gene was dispersed through the countryside. In a key part of the ruling, the judge agreed a farmer can generally own the seeds or plants grown on his land if they blow in or are carried there by pollen - but the judge says this is not true in the case of genetically modified seed. It was that part of the ruling that most upsets Percy Schmeiser. The implications are wide ranging and Schmeiser has launched an appeal that was heard on May 15 & 16, 2002 in Saskatoon, Saskatchewan. The Federal Court of Appeal subsequently rejected Schmeiser's appeal. Schmeiser then asked for leave from Canada's Supreme Court to hear the case. Leave was granted in May 2003 and the case was heard on January 20, 2004. The Supreme Court issued their decision in May 2004 and one can view the decision as a draw. The Court determined that Monsanto's patent is valid, but Schmeiser is not forced to pay Monsanto anything as he did not profit from the presence of Roundup Ready canola in his fields. This issue started with Monsanto demanding Schmeiser pay the $15/acre technology fee and in the end, Schmeiser did not have to pay. The Schmeiser family and supporters are pleased with this decision, however disappointed that the other areas of appeal were not overturned. If you believe in this important cause, your assistance in funding the appeal would be greatly appreciated.